The most common way to control pain is with oral medications, such as non-steroidal anti-inflammatory drugs (NSAIDs) or opioids. Some people don’t respond to these medications, though, while others are unable to tolerate oral pain medications. Nerve blocks are another way of treating pain with medication, but nerve blocks are injected, which increases efficacy and reduces the likelihood of other side effects. Nerve block injections allow the delivery of pain-relieving medication directly to the location where the medication will have the most impact. When a nerve block is performed, it usually begins with the application of a topical anesthetic to numb the skin before the injection. Then imaging equipment, such as fluoroscopy or X-ray, is used to ensure the correct placement of the nerve block needle. Often, contrast dye is injected before the medication, to make doubly sure that the needle is placed correctly. The primary medication in a nerve block can vary. Usually it includes a numbing medication to deaden the nerves, such as lidocaine. Sometimes a steroid is also included to reduce inflammation. If the nerves or surrounding tissues are painfully irritated or inflamed, a steroid can help reduce pain, too. Individuals undergoing a nerve block can experience pain relief immediately, although for some people it may take a few days to experience pain relief. The length of the nerve block’s efficacy can vary from a month or two, up to several months in some cases. Often, the nearness of the injection to the nerves influences how long the effects last. The closer the injection is to the nerves, the longer the medication works. 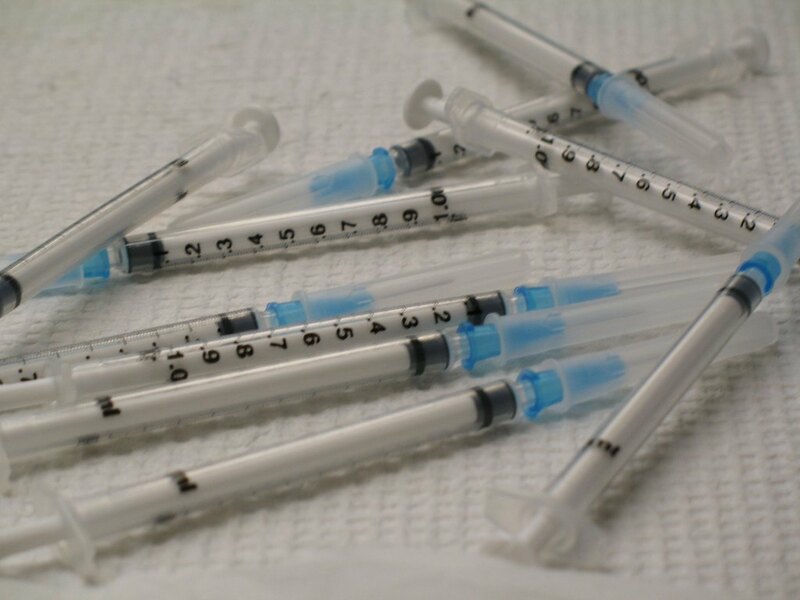 Because of their versatility, nerve block injections are able to provide relief from a wide variety of conditions. A physician will discuss pain symptoms and conduct tests and examinations. This will help him or her determine which nerves are being affected, and it’s why it’s so important to discuss pain symptoms as openly and fully as possible with the physician. For example, a complaint of leg pain is very general. However, shooting pain from the buttocks down the leg suggests a very different condition than aches in the knee joint. More specific knowledge about the type of pain being experienced will allow a more specific diagnosis, which will increase the likelihood that a nerve block will be successful. Nerve block injections can be applied to almost any painful area of the body. When a physician has determined which nerves are involved in a painful sensation, he or she will decide which type of nerve block will work best. For face pain, an occipital or sphenopalatine ganglion nerve block can provide relief. Back pain may respond to a facet joint, medial branch, or superior hypogastric plexus block. Celiac plexus or splanchnic nerve blocks may relieve abdominal pain. Pain in the chest may be lessened by intercostal or stellate ganglion blocks. Low back pain can potentially be relieved by a variety of nerve blocks, including cluneal, coccygeal, ganglion impar, lumbar facet, or lumbar medial branch blocks. Interscalene or sciatic nerve blocks may relieve limb pain. The placement of a sympathetic nerve block will determine which areas of the body experience pain relief. For example, a lumbar sympathetic block treats pain that originates in the nerves of the lumbar area, or lower back. Nerve blocks can also help people who experience pain after the installation of spinal hardware. This type of hardware may be surgically implanted to treat spinal stenosis, injuries, trauma, degeneration, or deformities. Clamps, screws, and bone grafts can all be used, but they can also cause pain. A hardware block is a nerve block injected near the hardware to relieve the pain it may be causing. Sometimes, rather than the traditional injected nerve block, a continuous catheter nerve block is used. It involves a catheter inserted below the skin near the nerves. A small container of pain medication is attached to the catheter, which allows the medication to be delivered continuously to provide long-lasting pain relief. In addition to providing pain relief, a nerve block injection can be used as a diagnostic tool. The source of pain, especially chronic pain, can be difficult to diagnose. By extension, it can be difficult to successfully treat pain when the underlying condition isn’t clear. For this reason, nerve block injections are often utilized as diagnostic tools. A nerve block injection is relatively low risk. As with any injection, there’s always a risk of infection, irritation, or bruising at the site. Additionally, there’s an extremely low risk that the nerve block injection will miss the nerve and instead hit an artery. However, as compared to other interventional pain management techniques, nerve blocks are very low-risk. However, if a nerve block injected into the occipital nerve relieves the headaches, it can confirm a diagnosis of occipital neuralgia. Then, if the pain returns after the nerve block has worn off, another nerve block injection can be applied. Alternatively, other treatment methods, such as radiofrequency ablation, can be utilized after the nerve block has worn off, with confidence that the correct nerves are being targeted. Have you benefitted from a nerve block injection?